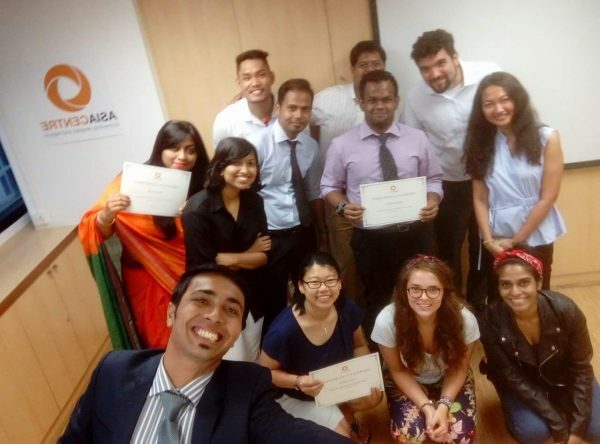 From 19 to 30 September 2016, Asia Centre held a Media & Communications Workshop for students from the University of Liberal Arts Bangladesh. 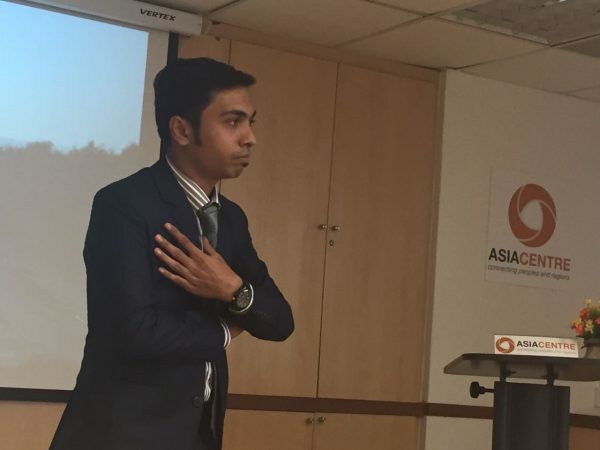 The two week experiential learning programme was designed to give students an introduction to the Asian media landscape, hone their practical skills and undertake a multimedia project of their own. The programme kicked off with an orientation to the course and brainstorming for their media project under the guidance of Asia Centre’s Dr. James Gomez and Dr Robin. Ramcharan. The group then participated in a team building scavenger hunt to help them work together and learn to navigate Bangkok. Classroom sessions during the first week were focused on understanding the marketing and communication strategies for businesses. Bamboo Labs, a social media and digital marketing start-up introduced students to their latest software designed to help people who are learning English. 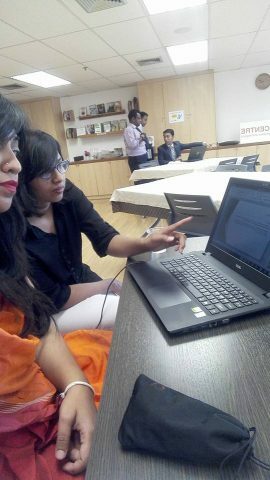 They introduced their product and discussed some of the challenges in getting it to the target markets. Students also participated in a session facilitated by Brice Degeyter from The Football Agency, a sports sponsorship and activation company using the platform of football to attract, connect and engage with the consumers in Asia. 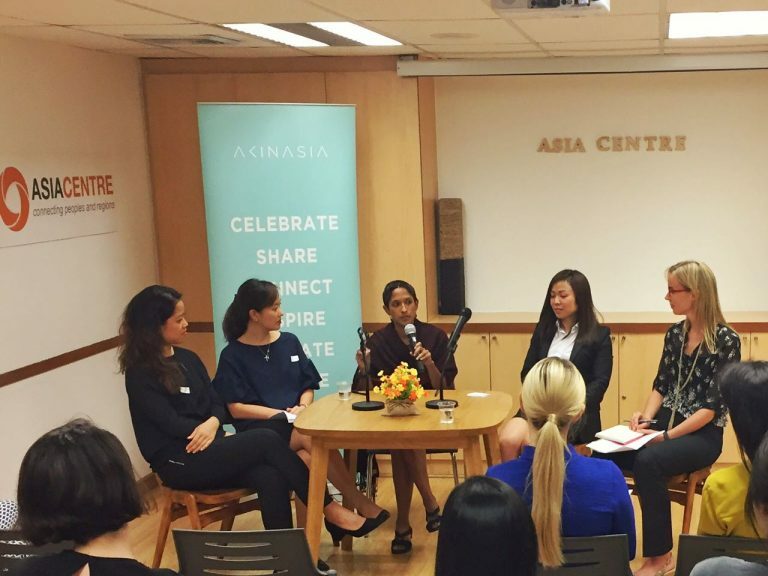 Beyond the classroom, students were able to network with journalists, political commentators and academics at the Foreign Correspondents Club of Thailand. The highlight of the event was a panel discussion on Religious Tolerance in Thailand featuring Mrs Angkhana Neelapaijit, a Commissioner from the National Human Rights Commission of Thailand. 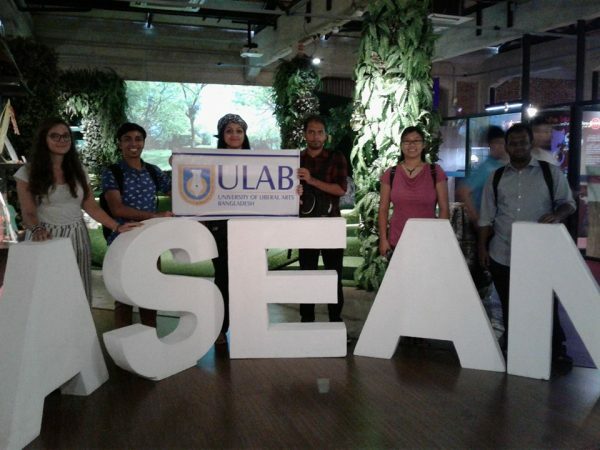 They also visited the ASEAN Cultural Centre which provided an excellent introduction to the diversity of the region and the historical linkages between Southeast Asian countries through trade as well as the spread of religion and colonisation. Beyond the fun of the interactive exhibitions on national costumes and glimpses into the food and flavours of Southeast Asia, the visit also provided critical information on the populations, politics and present day conditions in the region. 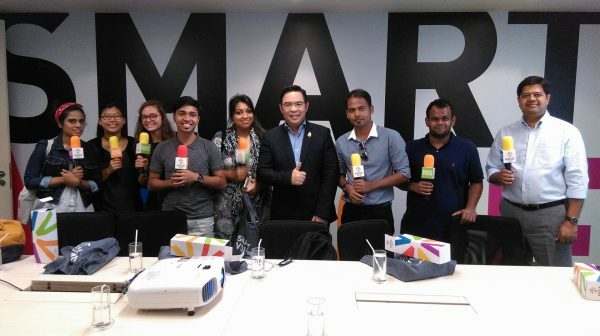 Their introduction to the Thai media landscape came in the form of a visit to Voice TV, one of the country’s most popular news and variety channels. Students got the opportunity to tour the studios, witness a live broadcast and field their questions to Voice TV’s lead news anchor Teerat Ratanasevi. Week one of the workshop rounded off with students pitching their projects to their advisors who provided advice and critique on their objectives and strategies for carrying out their multimedia projects. 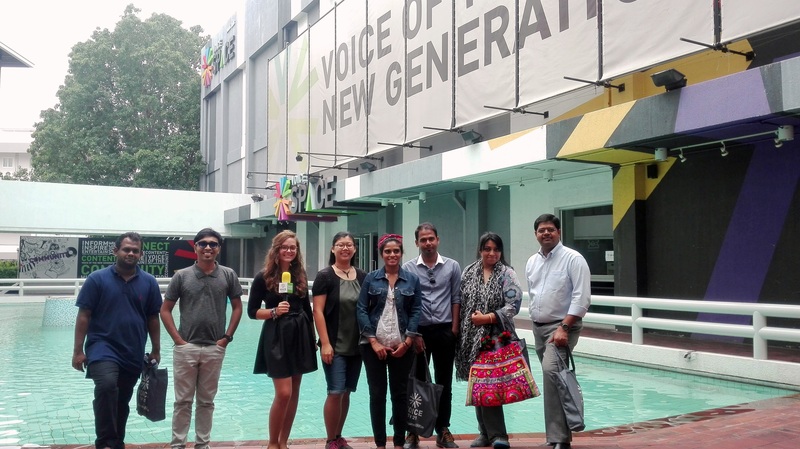 In the second week of the workshop, a visit to the Thai Public Broadcasting Service allowed students to understand some of the challenges of producing critical content in the context of shrinking civil and political space for discourse. They also toured the studios and spoke with staff in the television and radio broadcasting departments. They were able to network with students and faculty at Stenden University, Thailand during a discussion on academic and industry collaboration. Students spent much of the week venturing out into the big city to conduct their interviews and take photos and videos for their final project. Navigating the bustling alleyways of Chinatown was an excellent opportunity to understand the dynamics of the different communities within Bangkok and to contemplate the impact of China on the region. They also toured areas relevant to their particular subject matter. At the end of the week the students presented their findings to a panel of experts including journalists, media and communications experts and lecturers. The topics covered in the multimedia projects displayed a diverse and nuanced appreciation of Bangkok, from its train system to the everyday experiences of Muslim minorities and the off the beaten track adventures of backpackers. Presented through storytelling, short videos and photo essays, the students also made efforts to uncover lessons that could apply to their own lives in Bangladesh, from developing Bangladesh as the next budget travel hotspot to inclusive urban planning strategies. The workshop was structured to include learning and practical components with in-class activities complemented by learning visits to media companies and opportunities to network and interact with industry professionals. At the end to two weeks the students displayed critical thinking, developed insight into the media landscape and understood the context surrounding each story. They also demonstrated their professional skills and competencies in interviewing, photography and video editing in the execution of their projects. 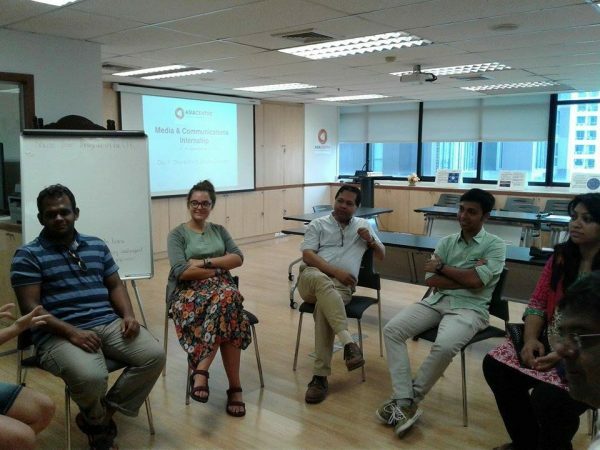 Asia Centre will be running the Media & Communications Workshop on a regular basis, if you are interested in honing your professional skills as a budding journalist, building your network in media and communications and learning to think critically about issues facing the region, sign up for our next workshop from 9-20th January 2017.